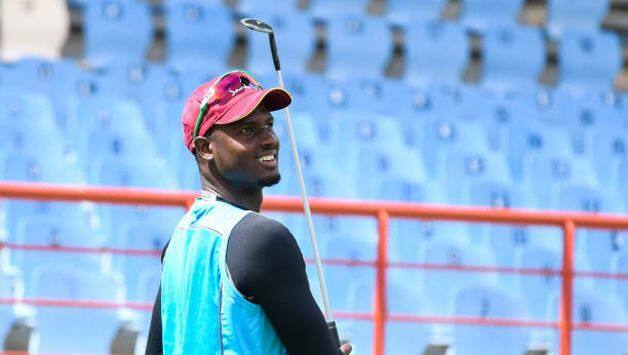 Jason Holder was named West Indies captain when he was just 23, a decision that wasn't met with universal acclaim. However, with two successive big wins against a top-quality England, Holder has proven why he was rated so highly in West Indies cricketing circle. Holder recalls that he always knew leading West Indies wasn’t going to be a cakewalk but he had full confidence in himself having been a natural leader. “I knew it was going to be difficult – maybe not this difficult – and that there would be some pushback from fans and people around West Indies cricket,” Holder told Sky Sports. “But I knew I had what it takes to lead as I have been leading sides for as far back as I can remember. I led plenty of Barbados sides in youth cricket, had the opportunity to captain the West Indies U19 team in spurts – I have always been seen in a leadership role. Holder admits he was concerned by off-field issues during the early stages of captaincy before realising how leading by example was the way forward. “When I first took up the captaincy I felt as though I was getting distracted by stuff off the field and tried so hard to get the players in their comfort zone and keep them happy. I probably lost sight of my actual role in the team and felt my performances were a bit stagnant. “I got to a point where I said to the lads: ‘Look, we have all signed contracts to play for West Indies so that means we are committed to playing for West Indies and might as well get on with it and play cricket’. From then, I started focusing a lot more on my cricket and trying to lead by example. I felt if I wasn’t going to be captain I would have to be stripped of it – I felt if I got a sniff and some momentum I would be able to do something different,” he said. 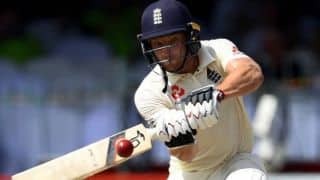 Holder won’t feature in the third and final Test of the ongoing series against England on account of being suspended by the ICC for a slow over rate in the second match. Holder said England have been surprised with their consistency. “I think the entire England side has been a bit surprised, more so with the consistency we have played with. Before we succumbed to pressure – you felt that if you bogged down the West Indies team as a batting unit, you may be able to get under their skin and get wickets, so what we have spoken about a lot is not having wickets fall in clusters,” he said.